On and on we dream, we wish, we love - no matter that the dreams come to an end, the wishes evolve or that love dissipates like dust in the wind. Perhaps, what matters only is that we have lived long enough to dream, hard enough to wish and indisputably enough to love. One of Maria's early memories growing up in Dhaka is of planning to run away with her friend Nadia. Even then, Maria couldn't quite figure out why she longed to escape. It is not that home is an unhappy place. It's just that in her family, joy is ephemeral. With a mother who yearns for the mountains, the solitude and freedom to pursue her own dreams and career, and a charismatic but distant father who finds it difficult to expresses emotion, they are never able to hold on to happiness for very long. Maria studies the Holy Book, says her daily prayers and wonders if God is watching her. She dreams, like her mother, of unstitching the seam of her life. It is her neighbour, Bablu, the Imitator of Frogs, who both excites and repulses Maria by showing her a yellowing pornographic magazine, but it is Mala, a girl her own age who comes to work in their house, whose wise eyes and wicked smile makes her dizzy with longing. When she moves to New England for university at eighteen Maria meets Yameen, a man who lives in a desperately squalid apartment in Jersey City, woos her with phone calls and a marathon night of drinking in New York bars, and is not what he seems... From Dhaka to New York, this is a candid and moving account of growing up and growing away, a meditation on why people leave their homes and why they sometimes find it difficult to return. 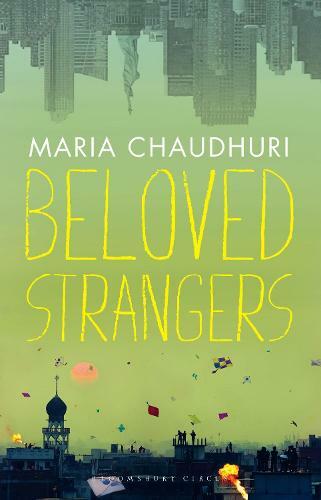 Beloved Strangers is an unforgettable memoir marking the arrival of a brilliant new voice from Bangladesh.